Honey, I think he has your eyes. Tis is pretty offensive. 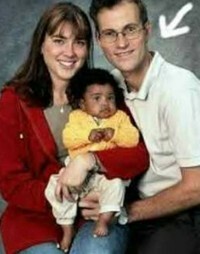 Did you consider that this baby was a transracial adoption?